Luxury home prices in Hong Kong are Asia’s second-most expensive, and seeing an increase in prices in that market is a positive sign welcomed by many. With the added $585 billion stimulus package of Premier Wen Jiabao the outlook is certainly not as grim as it was a few short months ago. Since Hong Kong is an important trade and financial hub in China, the city will be able to benefit from any rebound activity. The months since September’s tragic fall of Lehman Brothers Holdings Inc. have been hard on the city’s real estate owners since many properties lost as much as 25 percent of their value. The overall house pricing index has jumped by 13.3 percent this year. This includes luxury residences as well. By May 10th the index had reached 64.34 according to a separate report by Centaline, after rising for a five week period. Fixed home loans at 1.6 percent are now being offered by billionaire Lee Shau-kee who owns Henderson Land Development Ltd. and Bank of East Asia Ltd., for the builders new project in Hong Kong’s northern district Sheung Shui. The terms are for the first two years. 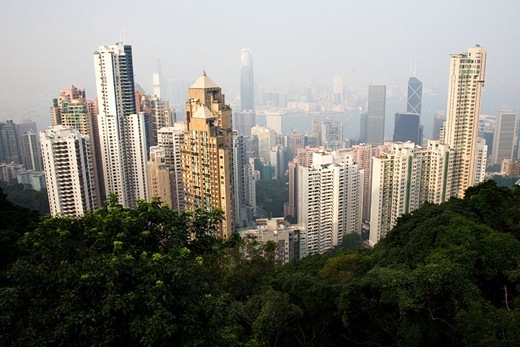 According to Hong Kong’s Land Registry, April saw an increase of home sales from 8.9 percent in the previous year to 9.856 percent this year. This is notably the first gain in the last 11 months – a good indication of the near future. The value of unit sales rose 14.6 percent, the first gain since June 2008. The mass estate City One Shatin saw the biggest gain in value this year. Average home prices rose by 6.5 percent since September last year said Centaline. Taikoo Shing estate ranked second. Situated on the eastern part of Hong Kong island, prices in the estate increased by 2.7 percent during the same time-frame.